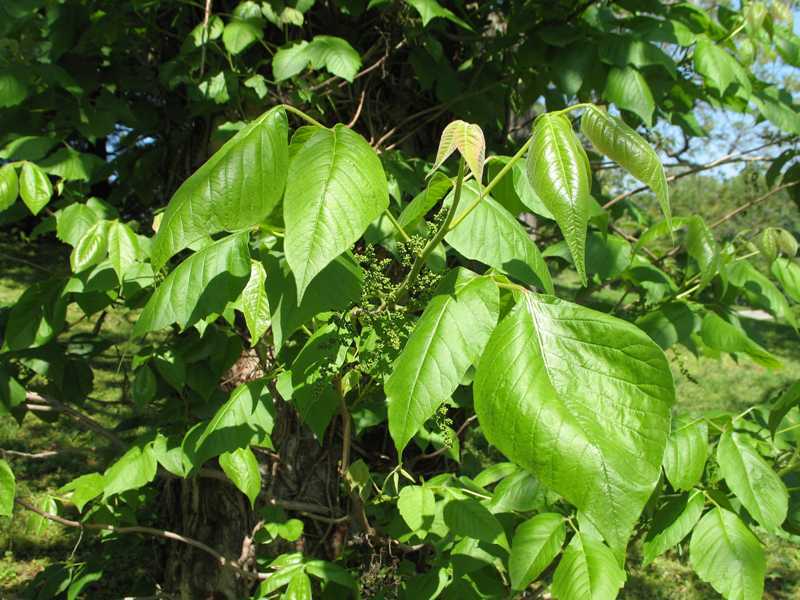 Poison ivy, Toxicodendron radicans, is usually a vine twining on trees and occasionally an upright bush if there is no support. Each leaf is made up of three leaflets more or less notched at the edges. Two of the leaflets form a pair on opposite sides of the leafstalk, while the third leaflet stands by itself at the tip of the leafstalk. Small greenish flowers grow in bunches attached to the main stem close to the point where each leaf joins it. Later in the season, clusters of poisonous, berry-like drupes form. They are a dirty yellowish-white, waxy berry similar to mistletoe. The leaves are red in early spring becoming shiny green in summer and then turning red or orange in autumn. 1. Pull small plants. If only a few small plants are found, pull and dispose of the plants using rubber gloves and arm protection. Avoid touching the leaves. Dispose of the plants in a plastic bag so they will not be touched by others. All parts of the plant are toxic. NEVER BURN THE PLANTS. The fumes are as toxic as touching the plant and worse if inhaled. 2. Use herbicides. 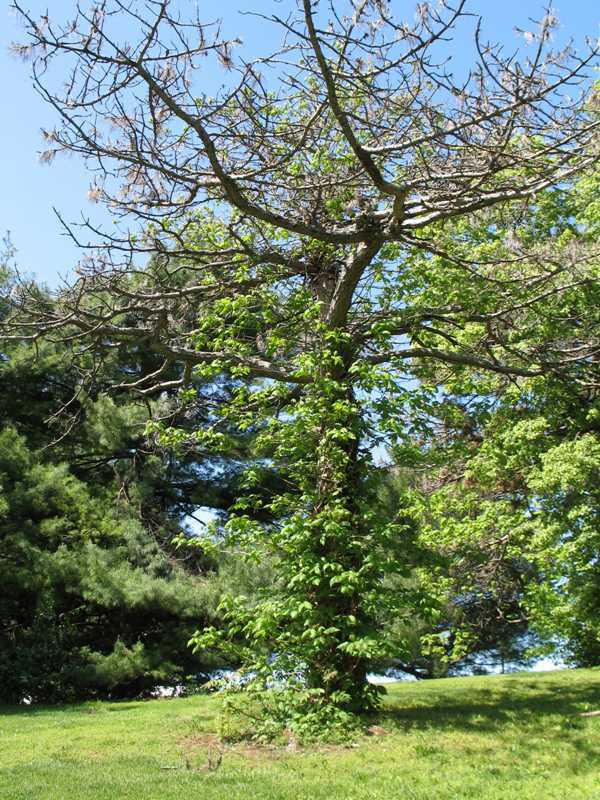 For small areas, poison ivy killers available in aerosol cans may be a good choice. They are effective and convenient but are too expensive for treating large areas. Another option is to use glyphosate (Roundup, Kleenup). Spray the leaves of actively growing plants taking care to protect nearby desirable plants from spray drift which can damage or kill them. Leaves can also be selectively "painted" with the solution using a brush or wiped on plants using a disposable cotton rag. Use rubber gloves approved for use with garden chemicals and avoid contact of the herbicide with skin and eyes. A combination of 2,4-D and Banvel is also effective, but use 2,4-D with care as nearby plants may be sensitive to the drift. To kill the roots of large plants, cut the stem at soil level. Then paint the cut with undiluted 2,4-D. Mound soil over the treated stub. Amino triazole (Amitrol-T, Amino Triazole 90, and Weedazol) is also highly effective and safe to use. Available as a liquid or wettable powder, it should be applied during periods of rapid plant growth. Thorough coverage of the foliage is essential. 3.Use biological controls. Sheep and goats will eat poison ivy. 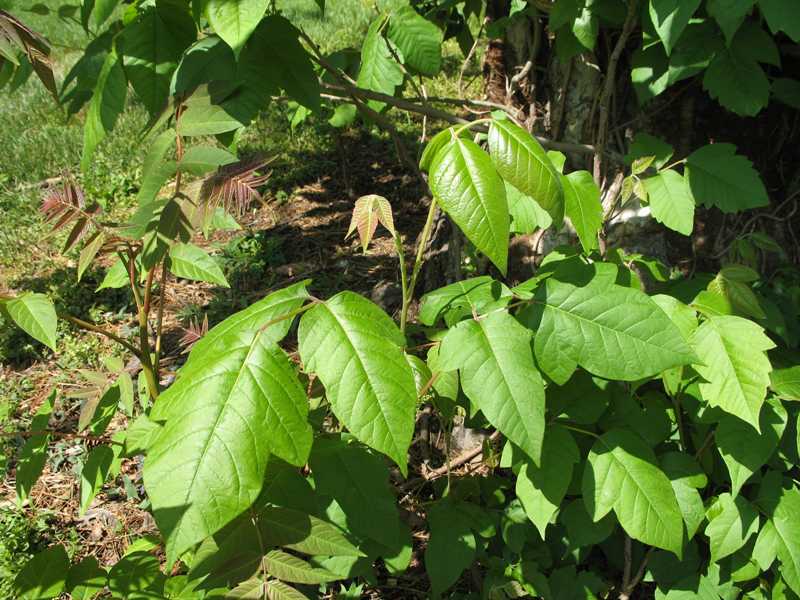 Tether them in areas where you need poison ivy cleared. Not all municipalities or neighbors may welcome this control measure. Strategies 1 and 3 are strictly organic approaches. Poison ivy (Toxicodendron radicans) leaflets usually have notched edges, but note the difference in shape and notching in the various pictures of poison ivy. 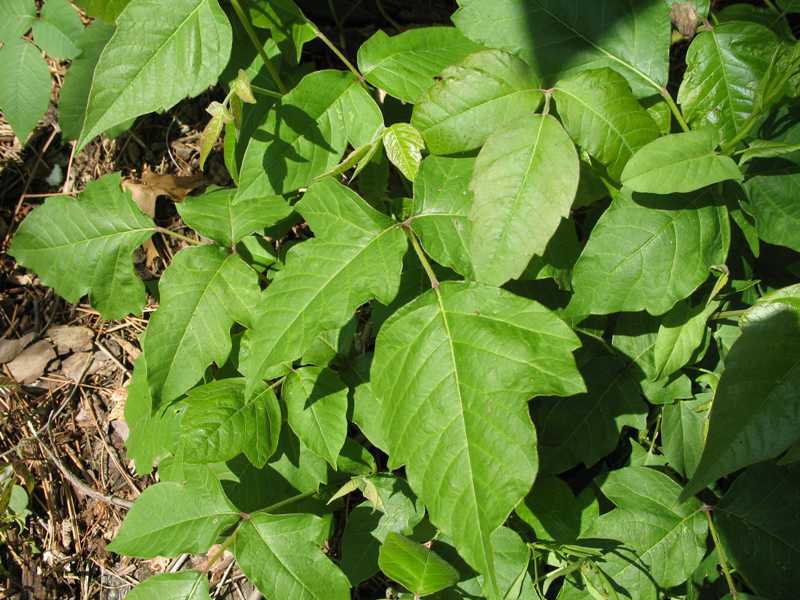 Poison ivy (Toxicodendron radicans) is usually a woody vine but it can appear as a small shrub. Here it is climbing a dead pine tree.